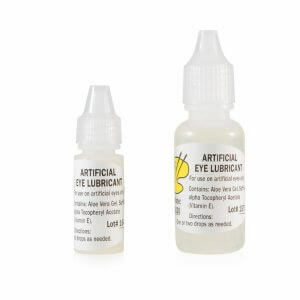 The Art of Seeing with One Eye is an excellent resource for those with monocular vision. This is perhaps the single best source of information for those who have lost sight in one eye, as well as for anyone who must lend support to, or who simply wants to better understand the unique challenges and opportunities of, those facing life with a “singular view.” The result is a book that is educational, compassionate, and even entertaining–and one that should be read by anyone affected by the loss of vision in one eye. I lost the vision in my right eye in Feb 2017 due to an accident. I am scheduled for surgery on July 3rd 2018 for removing the eye and replacing with a prosthesis. I was doing a search to learn as much as possible about the procedure. I found your site and licked on it and found this book. I purchased it and received it. It is absolutely great for information on seeing with one eye. Since the author has only one eye he can fully relate to this issue. I am so glad that I found this book as well as the other articles that are on your site. Thank you so very much for everything. I would recommend this book for anyone with only one eye. It is a great price and above average in knowledge. Thank you. 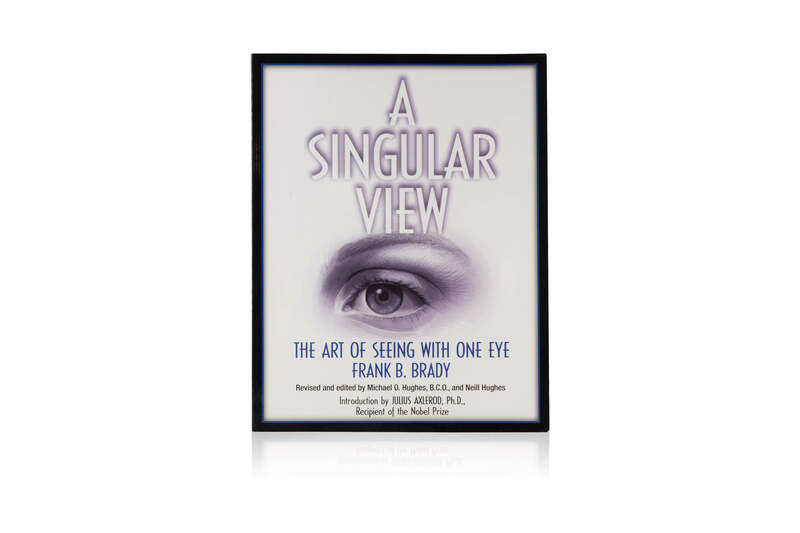 This book provides excellent insights into monocular vision in an easy to understand writing style. It will be a very good resource for our clients. i am ever so grateful for finding this book at an affordable price on your website. My dad had a retinal occlusion a few weeks ago and this book has been a godsend for him. He is not on the internet at all…so he very much needed a book that he could hold and read and keep right by his chair. I have not received my book just yet. I appreciate the price as advertised now matches the check out price. Rachael came to our rescue at crucial time with teenager losing eye in tragic accident. Dad was leaving for overseas assignment. Needed copies mailed to three addresses, with one copy expedited to Dad. Book was in mail same day and Dad received before departure. All copies received before end of week. Your caring service could not have been more sincere, and we are forever grateful for your assistance in helping this young man get through the tragedy, surgeries, and go forward with healthy, productive life. The information is invaluable to family in their support to him. Haven’t finished reading this yet, but so far it seems to be an excellent resource for anyone faced with navigating the world using only one eye, I would recommend it. Bought this as a gift for my wife who lost sight in one eye. She hasn’t finished reading it as yet. This review documents only the customer experience I have had, which was outstanding. 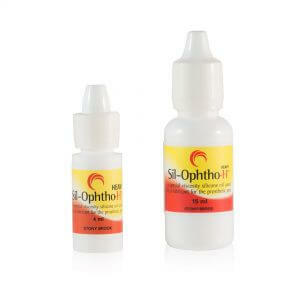 I purchased this for my 84 year old father who experienced a sudden unexpected loss of vision in one eye. I had read this book and thought it would be helpful. Working with Erickson Labs was flawless. Thank you. A beautiful, interesting, helpful book, which encourages while giving practical help for one who is seeing with only one eye. Fast delivery. And I wish I had this book months ago. Very helpful. The book has only just arrived, and I/we have only had time to glance through it. It looks like as though it will be very helpful for my husband, and for me as his wife, to get a better understanding of what it is like to see with just one eye, and why. Accurate, easy to read, and encouraging. 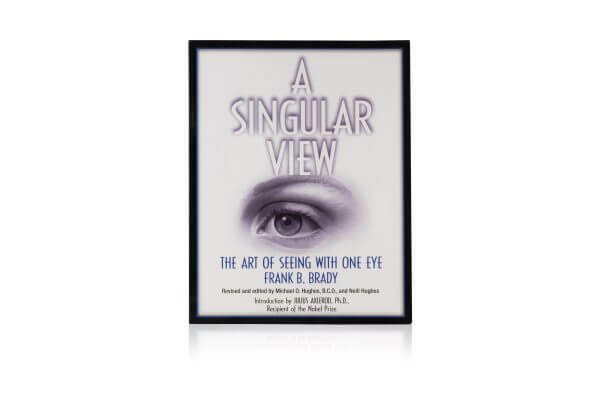 A must read book for anyone facing “A singular view” loss of vision in one eye. Aa very good read! Very informative. The doctor recommended that our family read this book before our mother lost her eye. Also this website was the only one who had it at a reasonable price and offered 2 day shipping. Not worth the money. It had little information I didn’t already have. ..even after reading everything I could find on the internet, this little book was a GREAT help in finally understanding why I don’t see “as well” with one eye. It is a relief to better understand how we see and what we see. Mahalo for this easy to understand and read little book. This is the most hopeful and practical little book I have seen on seeing with one eye. After 9 months of seeing with one eye, I agree that it might have helped my recovery to read this sooner. I haven’t completed the book yet, but what I have read has been very helpful. It has large print and is easy to read. I bought this book for my mother who had her eye removed due to cancer. The book is a outstanding summary of all the thoughts and questions that we had following the surgery. We shared this book with all the physicians involved with her care so they can recommend it to other patients. Thanks for being so prompt in filling the order. It is wonderful to know that such a service for eyes and site exists. I was so amazed at how quickly I received this book. I bought it for my dad who lost sight in his right eye due to a stroke in his eye. So many people are dwelling on what he can’t do instead of what he can do. This book will be a great support for him. I was so pleased to be able to get this book so quickly in order to get it to him. Thanks for your service. So glad I found this book, it has been extremely helpful!